When you breed horses, you run a moderately high risk and unique liability exposures that may not be covered by your regular homeowners’ policy or a farm insurance policy. Whether you raise horses or own a stallion that you service other mares with, you should have horse business liability insurance because you have a commercial horse venture that requires commercial liability coverage. Listed below are just a few commercial exposures horse breeders can encounter. You also have a Horse Boarding and Care, Custody & Control Liability Insurance (CCC) exposure because you care for mares and foals owned by others. Some farms also provide foaling services which is another CCC exposure. How Risky is Horse Breeding and Incidental Exposures? Moderate. You worry that you could be sued or otherwise have a claim made against you for bodily injury or property damage by a customer, guest or someone else who comes in contact with you or the property that is part of your horse operations. If sued, you will need to hire a lawyer to defend you and you wonder how you would go about doing this. If found negligent or responsible, you would likely have to pay for either a court-ordered or agreed-upon settlement to the injured party. 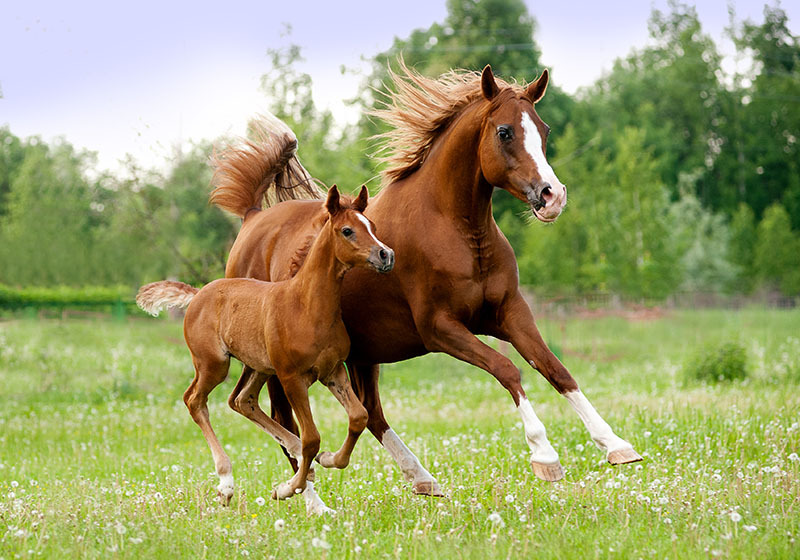 Fortunately, much concern can be relieved when you buy a Commercial General Liability Policy [CGL] to insure horse breeding and incidental activities. Commercial General Liability Insurance protects you from financial loss should a mare owner, a visitor to your farm, or a trespasser become injured [Bodily Injury] or their property is damaged [Property Damage] in relation to your breeding, boarding, horse sales and promotional operations, and they make a claim or file a lawsuit against you for damages. becomes sick, injured or dies and the owner attempts to hold you responsible for the loss because of your negligence. This insurance is not included in your General Liability Policy unless requested by you and added by endorsement or as a separate policy. If you board, handle or care for horses owned by others, be sure to ask for this additional coverage by completing that part of the application and choosing the limits that are right for you. Our underwriters will then quote it and you will have a chance to decline or accept this valuable insurance protection. As a stable property renter, you may not have access to property insurance for tack, equipment and machinery you use in your business. Ark Agency can insure these items by adding a Property Coverage Endorsement to the General Liability Policy. The items and values must be declared in the application process and the additional premium is charged for this endorsement. Medical Expense: Pays for the low-cost medical expense with no questions asked about your liability or responsibility in the matter. 1. A mare owner visits your farm to see your stallion and is injured while there. 2. A horse buying prospect tries out a horse you are offering for sale and is injured while riding it. 3. A fence is damaged or barrier gates are left open and a horse you either own or board gets into the road. As a result, passengers are injured and the car is damaged when colliding with the horse. 4. A horse that is cared for but not owned by you gets injured or dies while in your care because of something you did or did not do to keep the horse safe and healthy. For horse insurance that can be tailored to your precise needs, you can depend on Ark Agency every time. Our team members work directly with you to ensure all of your needs are covered with the right liability insurance. Contact us today by email or calling 1-800-328-8894 to request a personalized horse insurance quote.